Irvine CA, USA - Fox is happy to announce the signing of one of the most amazing surfers on the planet; Bruce Irons. Known for his fearless approach to heavy reefbreaks and big airs, Bruce will now be flying the Fox Head on the nose of his surfboard. “I could not be happier to have Bruce join the Fox family,” stated Global Vice President of Marketing, Enich Harris. 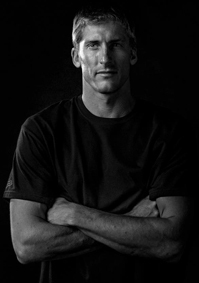 “He is one of the most naturally gifted & exciting surfers in the world and does everything with style & flair. It’s Bruce’s raw edge that fits Fox perfectly. This is part of our broad and long term plan for Fox surf".